Your pregnancy due date may not be your baby’s birthday. From the time that you learn you are pregnant, the countdown to your due date begins. But the seemingly simple question “When are you due?” can really be answered by only one person: Your baby. Unfortunately, a specified due date has made everyone (family and friends included) place too much emphasis on a precise day—to the point that they plan their life around it. Your baby doesn’t have a calendar, however, so it is no surprise that less than ten percent of babies actually arrive on the date they are due. For the other 90 percent of pregnant people, what does your due date really mean? Many health-care providers use a sonogram to pinpoint your due date, but don’t be swayed by technology. A date based on an ultrasound can be off by a week or more depending on the skill of the technician, the timing of the sonogram and the size of the baby. Until 13 weeks of gestation, most babies grow at the same rate, but as pregnancy progresses, fetal size corresponds less and less to the amount of time that the baby is in the womb. So, while many health-care providers keep giving ultrasounds to reassess the due date throughout pregnancy, the date is actually becoming less accurate as time goes by. In fact, there’s really no need for a sonogram to determine a due date unless you don’t know the date of your last period. If you do know the date of your last period, try the following calculation, called Naegele’s Rule. Babies have a gestational period of about 280 days, so count back three months from the first day of your last period and add seven more days. Your approximate due date is that day within the next year. Take note of the word “approximate;” your baby will grow and mature on their own schedule. The only thing you’ll know for sure is that you should give birth within two weeks before or after that day. Many people (and their health care providers) become so attached to their due date that when the baby doesn’t come on that day, they schedule an induction. But because the due date is unreliable in the first place, inducing the baby may cause them to be born too soon. These “near-term” infants (as they are known) can have trouble breathing, staying warm, and breastfeeding, and they often need special hospital care after birth. Induction isn’t without risks for you, either. Research has shown that a first-time birth resulting from an induction is twice as likely to result in a cesarean as when labor starts on its own. When you let your baby choose their own birthday, it means they’re really ready to begin life outside the womb. Remember: Your due date is an estimate of when you will give birth, not a guarantee. 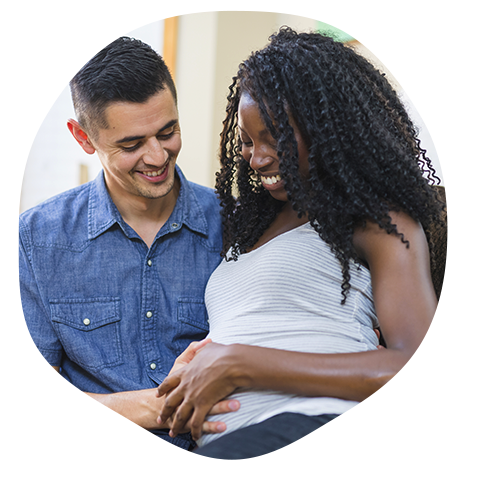 If you are “overdue,” just count it as more time to establish a bond with your baby, to prepare mentally for parenthood, to discuss your support person’s role during the birth, and to ready your home for your baby’s arrival. Consider telling family and friends that you are due “sometime in May” rather than on a specific day in order to prevent a daily barrage of phone calls near the end of your pregnancy. Trust that your baby will know when the time is right for his/her big debut. It will be worth the wait for everyone.